Just finished my keynote at the Mobile! workshop, co-located with the SPLASH 2016 conference. Here is the abstract of the talk. This year a billion smartphones will be sold worldwide, with people relying more and more on mobile apps for activities like purchasing products, messaging, accessing digital media, etc. As of today, mobile software development teams can follow a number of different development and distribution strategies, ranging from native apps, to mobile web apps, hybrid apps, and the recently raising progressive web apps. 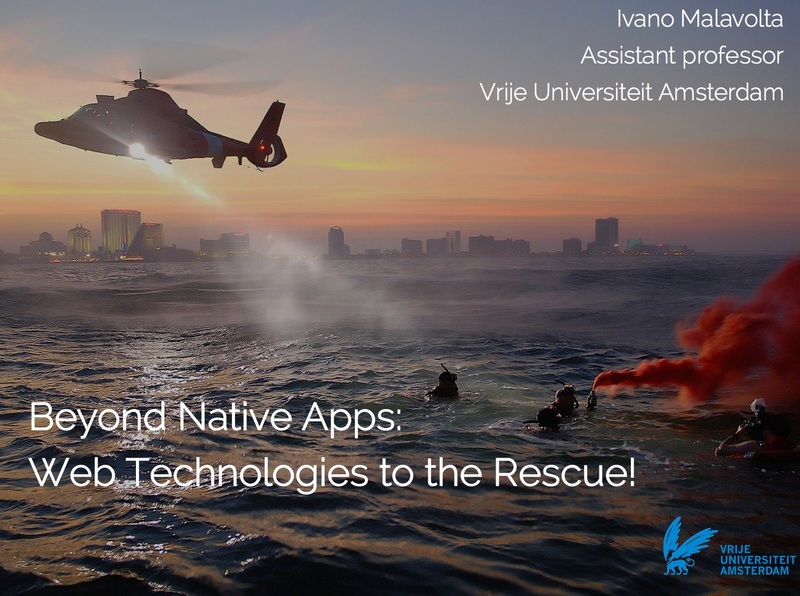 This talk provides a state-of-the-art overview of the development strategies and technologies for developing mobile apps, each of them with its own advantages and drawbacks. In this context, the use of web technologies is discussed as a promising investment for moving forward one of the most intriguing challenges in the world of mobile apps: its fragmentation with respect to mobile platforms (e.g., Android, Apple iOS, Windows Phone). A discussion of research challenges, and thus opportunities, close the talk. Thanks for your thothgus. It’s helped me a lot.